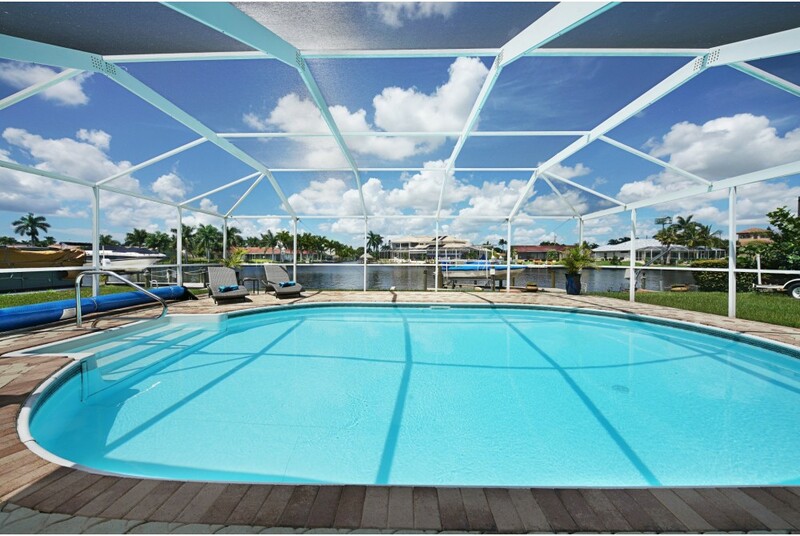 Ideally located in the southwest of Cape Coral on a wide canal with short access to the river. The newly renovated villa was furnished by the owner with much love tastefully and sufficiently. There are enough sleeping facilities for up to six people. The most beautiful is the stay in the large and beautifully furnished pool area with west facing location. So you can enjoy fantastic sunsets. Or you can simply use the in-house boat platform for sunbathing or fishing.